Just move right in! Beautiful renovated Single Family home with 3 really spacious bedrooms, a bonus office, and 2 full bathrooms. 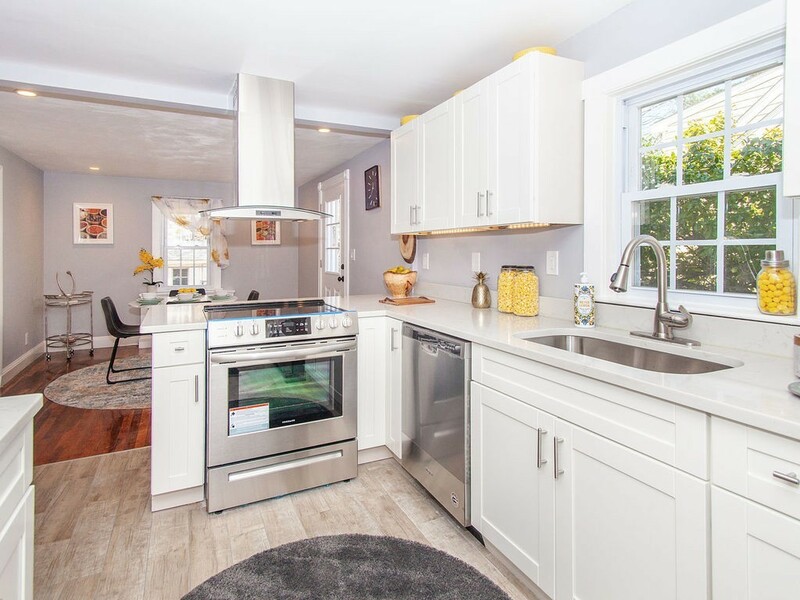 This house has been completely renovated and features an open concept kitchen that flows into both the living room and dining room. Brand new roof, new plumbing, updated electrical, smart home lighting system, and a working fireplace. Also, enjoy a large basement with laundry and space to expand. This house also has a single car garage and parks 2 cars in the driveway. Brand new deck and a nice yard, great for entertaining. Everything you need and more, come see for yourself! Open House: Saturday, March 30th and Sunday, March 31 from 1 pm - 3 pm.